One of the big obstacles to transgender acceptance is ignorance. For this post, I want to take some of the common questions I see from people about what it means to be trans and share the answers that reflect my experience and understanding. 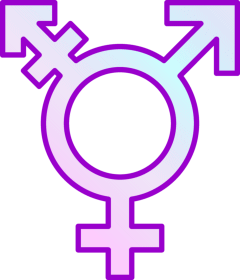 Please note that every transgender experience is different, so if you would like to know more about what it means to be trans, get to know some trans people near you! You might be surprised how awesome we are. 1.Can someone be both trans and gay? Yes! Sexual orientation and gender identity are two completely different things. One is the person (or people) you love, while the other is the person you are. A trans man, for example, might be attracted to other men, and in that case, he’d be gay. There are trans people of all sexual orientations, and their attraction has nothing to do with their own gender identity. 2. If someone says they’re trans but they don’t have surgery or take hormones, are they really trans? Yes! Many transgender people choose to medically transition, but many others do not. Some choose to socially transition by changing pronouns, possibly clothing or hairstyle, etc, but they don’t go down the path of medical steps. This can be for many reasons: some trans people can’t afford medical transition, some don’t feel like they need it to be valid, and some just don’t want to do it for reasons of their own. Choosing not to medically transition does not invalidate a trans person’s existence. Trans people are trans regardless of their hormones or surgical procedures. 3. Can a child really know they’re trans? Sure they can. Kids have a pretty good understanding of their own identities from a young age. A child assigned one gender at birth who insists consistently and persistently that they identify differently from their assigned gender should be acknowledged. The parents can be supportive by respecting the child’s chosen pronouns and name, allowing the child to grow or cut their hair as they wish, letting the child make clothing selections that they like, and finding a therapist that knows gender issues. Some people seem to think that kids shouldn’t be allowed to transition because they think transition means hormone shots and surgery, but for young kids, there’s no medical stuff done at all. 4. Do trans people change their minds and detransition? Some do, but it’s rare. And in some cases, they change their mind not because they’re not really trans, but because they’re struggling with how society treats them for being trans. Most distress in trans people, including anxiety, depression and suicidal ideation, have been linked in scientific studies to how they are being treated, not to some internal cause. When trans children, for example, are raised in supportive families, their rates of depression and anxiety drop to nearly that of cisgender kids. When trans kids are raised with unsupportive families, their anxiety and depression go way up. Just being trans doesn’t cause negative outcomes, but how the public treats trans people creates the negative outcomes that many associate with being trans. 5. If you meet someone that you think is trans, should you mention it? No, absolutely not. First, you can’t know for sure if someone is trans just by meeting them, and second, it’s really not anyone’s business if they ARE trans. You might hurt or embarrass them just by mentioning it. What you can do instead is introduce yourself and include your pronouns (“Hi, I’m Drew, I use he/him pronouns”) and then ask for their name and pronouns. Then RESPECT what they tell you and go with it. Don’t say “Wow, you look so [insert stereotypical gender presentation here]” or “Oh those are your pronouns? I wouldn’t have guessed!” Just trust that they know themselves and who they are, and respect that. It doesn’t matter whether they’re trans. It matters that we treat everyone with respect, and make it more common to introduce ourselves with pronouns. 6. A trans person I know is being misgendered and they’re not correcting the person who’s misgendering them. Should I jump in and correct the pronouns? In this, ask your trans friend (quietly) what they’d like you to do. It’s possible they’re not “out” to this particular group or situation, even if it’s their own family. That might be for reasons like safety or comfort. There are any number of reasons why they might not be correcting someone on the right pronoun use, but whatever their reasons are, they’re valid. Respect their wishes. If they WANT you to jump in, go for it (nicely), but if they don’t, or if you don’t have a chance to ask them about it, just let them lead the way on how they should be addressed in this particular situation. You never, ever want to “out” someone against their will — it could be unsafe, embarrassing or otherwise invasive. 7. Is the singular “they” actually a thing? Yes it is! Singular “they” has actually been acceptable for a long time. We often use it without realizing it (example: you might say “Hey, someone left their jacket here,” but you probably wouldn’t say “someone left his or her jacket here”). It might feel weird to use it at first, but singular “they” is grammatically correct, and if someone wants to use it as their pronoun, it’s important to respect it. Anyone can use “they” as their pronoun if it’s what makes them feel the most comfortable. 8. 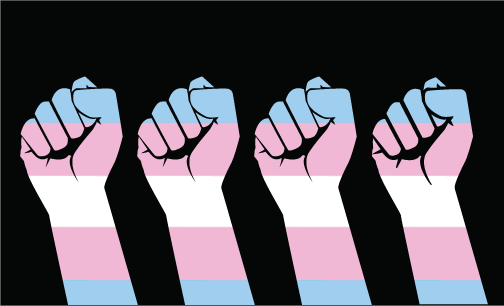 How can I be the best ally I can be to trans people? The number one thing to do is LISTEN. Listen to trans people when they talk about their unique struggles and challenges. Listen when they describe what they need from you in the way of support. Don’t talk over them, don’t try to frame their experience from your own perspective, and don’t challenge them to “prove” what they’re saying. It might make you uncomfortable, it might be a totally foreign concept to you, but it’s not YOUR experience. It’s theirs. And if you want to be as supportive and helpful as possible, it starts with that understanding that only trans people can help you with. Listen, learn, and let us lead. Drew Adams is a transgender high school senior from Ponte Vedra, FL, who is committed to LGBTQ advocacy at the local and national levels. He serves as his high school GSA’s president and raises money for Northeast Florida’s LGBTQ youth outreach, JASMYN, to which he also donates food, toiletries and school supplies. Nationally, Drew serves as a youth ambassador and advocacy volunteer for The Trevor Project, a youth social media ambassador for the Matthew Shepard Foundation, and a Volunteer and Intern Coordinator for Point of Pride. On the legislative side, Drew lobbies for the Equality Act by visiting with his Congressional representatives and their staff. Additionally, Drew has spent years fighting to change his school district’s bathroom policy to be trans-inclusive, and the fight is still ongoing. Drew is an International Baccalaureate student and a volunteer at the Mayo Clinic, and he hopes to go to medical school and become an adolescent psychiatrist specializing in transgender health. For fun, he practices Brazilian Jiu-Jitsu, creates sculpture art and plays the piano.